Ready for your holidays? You probably started thinking about what should you place in your luggage and if your body still fits into your swimsuit. Well, before getting into this naughty consideration, you should probably think about the books you wish to read while you are away from your day-to-day life. Here are our top 5 books you might want to consider reading during your summer holidays and the best descriptions taken from the best media, from the Guardian, to the New York Times or Barnes and Noble. Enjoy the discovery. Patricia Lockwood’s dazzling comic memoir is set in midwest America and centres on a man who likes to clean his gun, listen to Rush Limbaugh and drink from a mug that reads “I love my ‘white-collar’ job” – despite being married with five children, he is a Catholic priest. Father Lockwood, as presented here, is a truly unusual man. Upstairs in the family home, he shreds his electric guitar in a prog-rock frenzy and sips cream liqueurs (“He looked like a gigantic brownie drinking drops of dew”). He has a habit of yelling out “Hoooo-eee” for no particular reason, cooks a great deal of meat and dresses either in his full priestly regalia or nothing but his underwear (“He was wearing his most formal boxer shorts, the ones you could almost not see through”). Stephanie Danler’s first novel, “Sweetbitter,” is the “Kitchen Confidential” of our time, written from the cleaner and infinitely more civilized front-of-the-house perspective. The waiters and back waiters and sommeliers still cram into the dining room for the frenetic preshift meal, still fold napkins and polish the glasses, but their conversations, laid perfectly onto the page in snippets, reveal the cultural capital of the new serving class: “Have you been to Ssam Bar yet?” “No, the best Chinese is in Flushing.” “I still paint sometimes.” “I’m obsessed with Campari right now.” – The New York Times. As literary historian Peter Brooks describes it in his persuasive new book, “ Flaubert in the Ruins of Paris,” that scene captures much of what contemporary critics found so baffling and distasteful in Flaubert’s novel. The protagonist, somewhat of a rake and a social climber to begin with, has just withstood a series of personal and political upheavals. He has seen his romantic hopes dashed, pursued affairs anyhow, taken part in a duel, run for public office and witnessed mass insurgency and bloodshed — the Revolution of 1848, which forms the backdrop of Frederic’s vacillations – The Washington Post. A nation on the verge of a new era-and a girl caught between her past and the ever-expanding present. The year is 1972, and the beaches of Los Angeles are the center of the world. Dropping into the embers of the drug and surf scene is Suzy Whitman, who has tossed her newly minted… Rendered in the brilliant color of the age and told with spectacular insight and clarity, Fly Meis a story of dark discovery set in the debauchery of 1970s Los Angeles – Barnes & Noble. novel set in Tuscany during the magical years when thousands of businesses blossomed, manufacturing objects for everyday life as well-made and beautiful as the Renaissance art that inspired them. nfinite Summer brings the reader back to Italy in the 1970s, a time when growth and full employment propelled smart and industrious young men to create companies devoted to design, architecture, automobiles, and more. Three men share a dream of building a textile factory from scratch. Ivo Barrocciai, the enthusiastic son of a textile artisan, embarks on an elaborate project: to build a luxurious factory that will be “the envy of the Milanese.” – Amazon Books. Hopefully you will have a better clarity on what should you read this summer by the pool or at the beach. Summer is the perfect moment to let you mind free and discover new stories, new experiences and authors. Info sourced at the websites mentioned in the article. All content is copyrighted with no reproduction rights available. Images are for illustration purposes only. Top 5 books to read this summer, our editor’s choice. 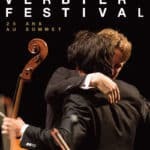 Verbier Festival – Celebrating 25 Years At The Top With An Anniversary Art Book. 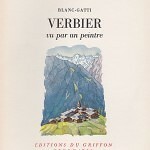 Tresors de mon Pays: read about Switzerland as you will never know it anymore. 50 shades of Grey: get dirty… at least in your mind.